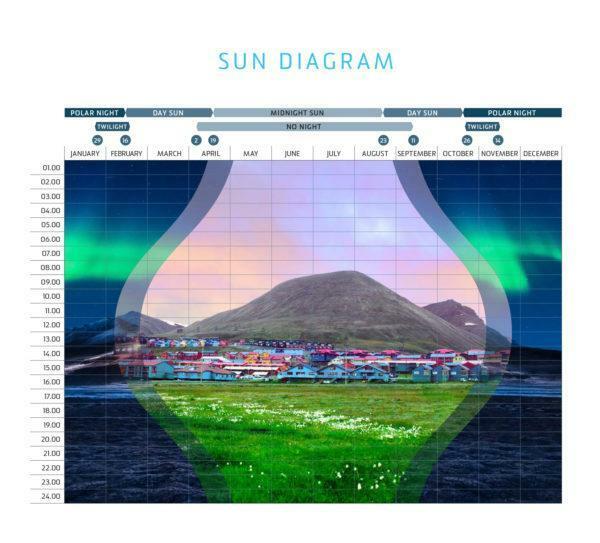 The sun chart shows you when the sun hits on Svalbard and how long the days are between polar night and midnight sun period. In High-Arctic, such as on Svalbard, the midnight sun comes out very early – in Longyearbyen it’s as early as the 19th of April. 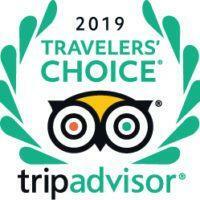 This means that in the spring you have a unique opportunity to drive a snowmobile, ski, or mush your dog team under the midnight sun. The midnight sun, patrolling the sky in almost uniform circles, stays above the horizon throughout the summer until the start of autumn. On the 23rd of August the sun dips below the horizon for the first time. After this, it is a rapid change into the polar night. In Longyearbyen the twilight season starts on the 26th of October. The next time sun reaches above the horizon is on the 16th of February. Northern lights can be seen on Svalbard from September to March.